Shopping centres have become the biggest market movers across Queensland with three shopping centres already sold this year. The negotiations handled by JLL had a total sale value of $52.8 million. Neighbourhood shopping centres were transacted in Beaudesert, Airlie Beach and Townsville. 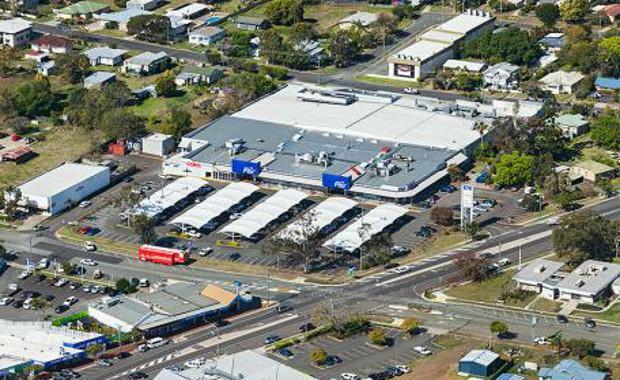 Beaudesert Fair Shopping Centre in Queensland was sold by BNY Trust Company of Australia Limited to Allo Pty Ltd for $18.5 million. The site covers 19,960 square metres of land and comprises a 7,290 square metre GLA retail asset securely anchored by 4,421 square metres Coles Supermarket. Strategically located in the regional hub of Beaudesert, approximately 65 kilometres south of the Brisbane CBD and approximately 72 kilometres west of the Gold Coast, the centre's positioning on the corner of William Street and Anna Street provides dual access and excellent exposure from passing traffic. The centre has a net passing income of $1,396,255 per annum as at December 2014, and a net passing initial yield of 7.54 per cent. Woolworths Airlie Beach in Queensland was sold by Fabcot Pty Ltd to a private investor for $13.1 million. The site covers 12,820 square metres of land and comprises a 2,929 square metres in GLA and a brand new freestanding supermarket. Located within the Airlie Beach Town Centre, the site boasts dual access points and the potential for future expansion with plans for an additional 360 square metres of supermarket space and 960 square metres of specialty stores. The property is securely leased to Woolworths on a 20 year term with eight additional five year options, initially expiring in June 2034, and has a net income of $910,830 per annum as at September 2014, and an initial yield of 6.95 per cent. Woodlands Village in Townsville, Queensland was sold to Sentinel Countrywide Retail Trust for $11 million. The site covers 19,600 square metres of land, comprising of 4,474 square metres anchored by Woolworths. With over 250 metres of frontage to the Bruce Highway which provides the centre with exceptional levels of exposure. JLL's Director of Retail Investments for Queensland Mr Jacob Swan, said the year would remain competitive in this sector. "As the weight of capital seeking exposure to retail assets continues to expand via ongoing demand from offshore investors and from domestic institutions, market conditions are likely to remain competitive through 2015," he said. "In 2014 Queensland had another highly active year in terms of the volume of transactions. Unlisted funds, REITs and syndicates were the key buyers of assets in Queensland over the year. "Mr Swan's fellow Director of Retail Investments for Queensland Mr Sam Hatcher said, retail yields compressed sharply during 2014, driven by stronger competition for assets, improvement in risk appetite and a further reduction in the cost of capital. "The tightening was evident on a broad-based basis across all retail sub-sectors and across the risk spectrum," he said.